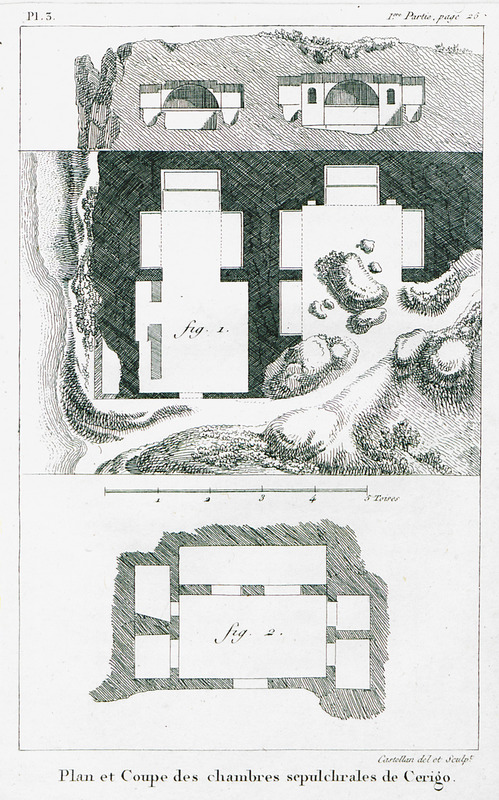 Plans and section plans of rock-carved mausoleums in Palaiopolis, Cythera. 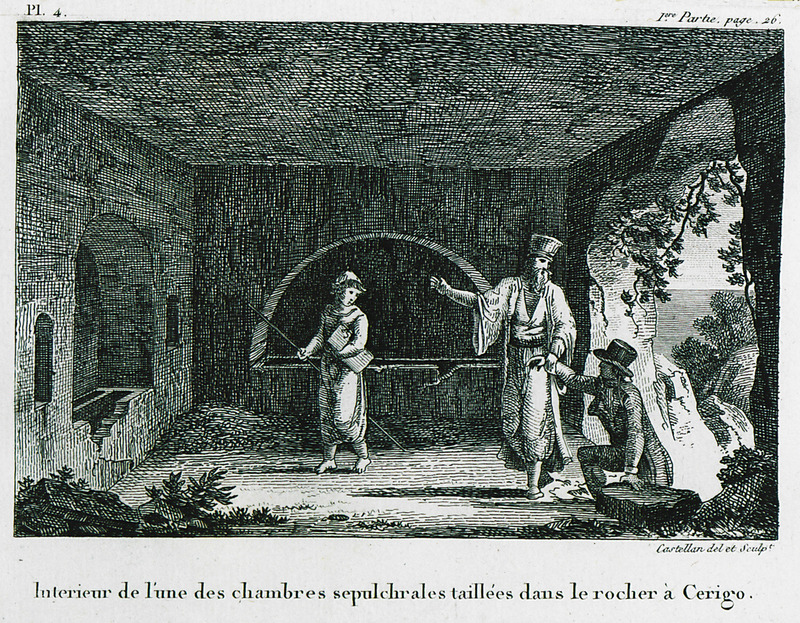 Orthodox priest guides a gentleman of west European origin into the interior section of a rock-cut mausoleum in Palaiopolis, Cythera. The ruins of the putative Temple of Aphrodite in Palaiopolis, Cythera. 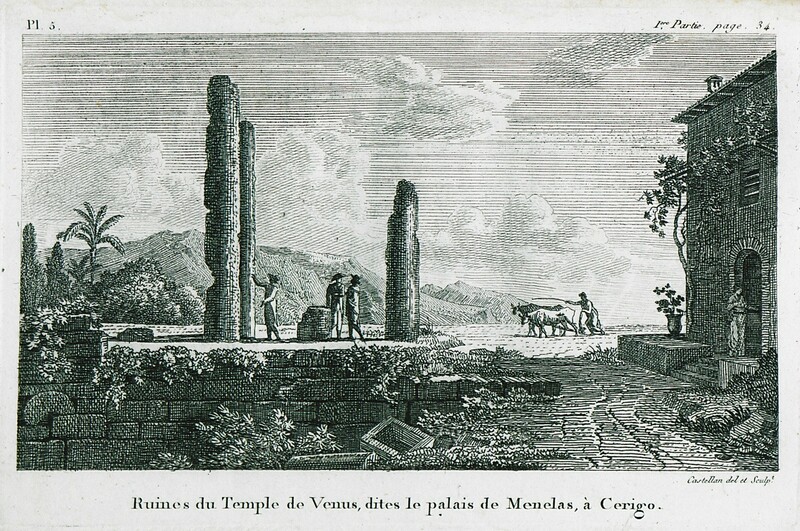 According to the legend at this site stood a statue of Helen of Troy, as well as a castle of Menelaus.